Dr. Sherry Mitchell-Bruker has worked as a hydrologist to preserve, protect and manage water resources for over thirty years. Her career in environmental research, consulting and management has taken her from Indiana to the Everglades, the Sierra Nevada and back home to Indiana. Now retired from the federal government, she continues to share her skills and passion for the aquatic world through teaching and community service. Sherry is happiest when she is outside sailing, kayaking, gardening, hiking, biking or camping. Richard returned to the Bloomington area after retiring from the Indiana Department of Environmental Management in 2014. He and his wife Vickie, and Buddy the Wonder Dog, live in a historic home just outside of Bloomington. Richard has become involved in various environmental and advocacy groups since retiring. He enjoys camping, hiking, kayaking, birding and other outdoor activities. Jim teaches at The Media School at Indiana University. He’s a photographer, documentarian, video producer, animator, guitarist, composer, and loves spending time on the water. He has more than 10 years experience serving on boards of non-profit organizations and has focused his recent work towards science education. You can reach Jim at his IU office or at his studio. When not teaching or practicing his craft, he is likely off enjoying the woods, going for a paddle, or spending time on his sailboat (currently somewhere in the Great Lakes). Kevin is an attorney whose law practice has primarily involved representing city and town governments, and more recently Monroe County. In his legal practice he has helped his governmental clients with drinking water, waste water and storm water projects and issues. Living with his wife Martha for the past 10 years in a house overlooking a wooded ravine near Lake Monroe, they have worked to keep their home and property environmentally-friendly by installing solar panels for their electricity, putting their ravine in the Classified Forest & Wildland Program, replacing invasive plants with native ones and creating a wildlife pond. They enjoy sailing and kayaking on the Lake Monroe, biking and hiking with their dog in areas around the Lake and observing the many local and migratory bird species that visit the Lake. Mary’s been interested in the health of our waters since her first class in limnology nearly 40 years ago. Work and graduate studies led her to testing drinking, surface, and effluent waters for organic pollution, specifically focusing on the occurrence of Cryptosporidium oocysts. As a wildlife habitat steward in Indiana, Mary’s objective is clean water for all. Mary enjoys nature-watching in her garden with her husband Jack, spending time with her Granddaughter, taking walks with her dogs, and horse-back riding. Elizabeth “Bet” Savich was the Director of the City of Bloomington Volunteer Network from 1995-2018. The Volunteer Network recruits volunteers for over 300 local not-for-profit organizations and programs. Bet is an I.U. Alumna with a degree in Public Affairs. Originally from Philadelphia, she has lived in Monroe County, Indiana since 1975. She and her husband Rudy have two adult children. 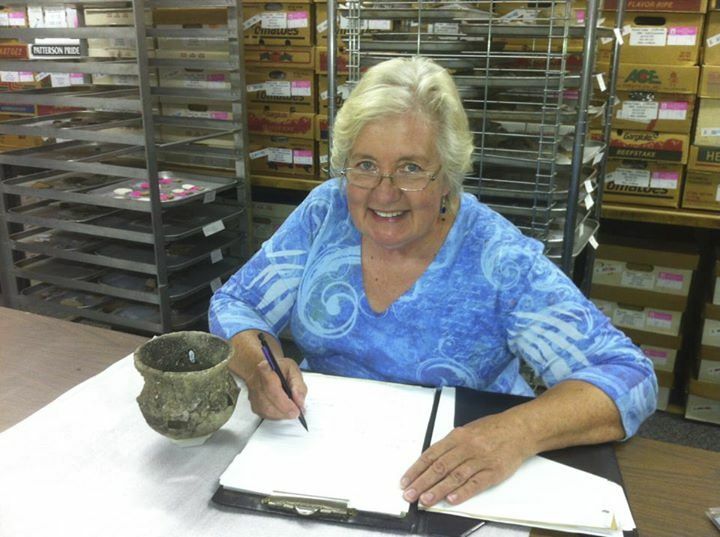 Cheryl is an archaeologist and research scientist in the Department of Anthropology at IU who specializes in the prehistory and early history of southern Indiana and the Eastern U.S. Since 2013 Cheryl has served as an At-Large Member of the Monroe County Council, with particular interests in public safety, youth enrichment, and economic development -- including what the lake offers to residents and visitors for swimming, boating, and fishing. She enjoys gardening, raising dogs, cooking for family and friends, and being with her grandchildren. Howard has a long history of limnology interests and citizen science, going back to the late 60s when he studied Deer Creek with Dr James Gammon (DePauw University). Interests in photo-microscopy of zooplankton led to involvement with Lakes of Missouri Volunteer Program, where in addition to the normal lake monitoring, he developed techniques for recording lake temperatures with which to document seasonal turnover. After retiring as a data architect, he moved back to Indiana and is now involved with automating research hydroponic growth chambers, and collecting and mapping bathymetric data on Lake Monroe. He is an active member of All Saints Orthodox Church, where he is working on three prairie restorations.